We are the recreational gymnastics club associated with SAADI, the original girls only competitive club. Saadi was established over 40 years ago and continues to coach girls competitive gymnastics to a high level. If your child hasn't competed before, is a boy or just wants to enjoy high level gymnastics coaching in a less competitive environment then you are at the right place! The recreational club opened 5 years ago and offers gymnastic coaching to boys and girls between the ages of 3 and 15. 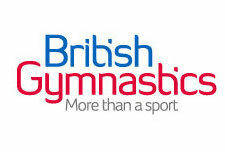 The club is British Gymnastics (BG) affiliated and all our coaches are BG qualified to various levels. Whilst mainly non-competitive some gymnasts choose to compete, and have been very successful at recreational competitions across the region. The club also works with Saadi coaches to identify high potential gymnasts at an early stage for progression in to the girls competitive club.